Our relationship with Ben and Konomi Campbell and their Sophia Farm Community began when a former student and now alumna went to their farm in Honbetsu, Hokkaidô in the summer of 2015. 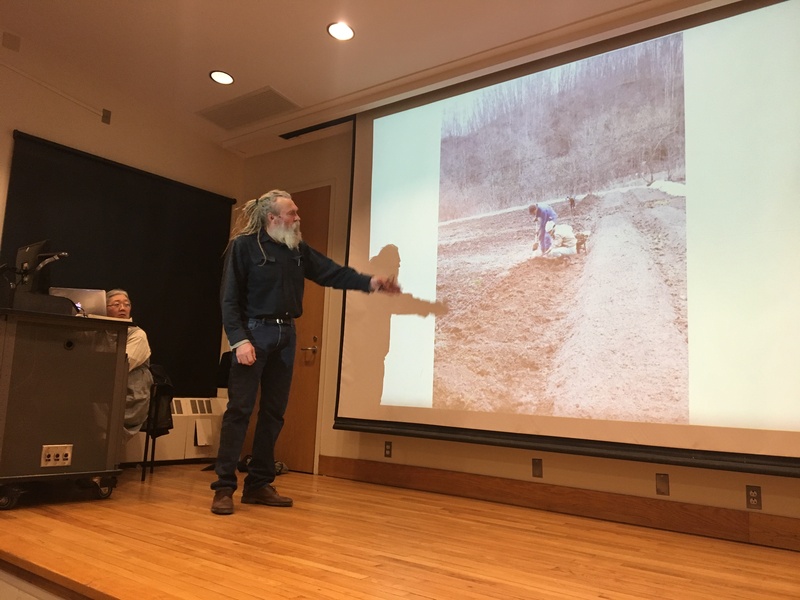 Over the past few years, Professor Nate Shockey and I have been organizing a program through which we send a few students a year to various organic farms in Japan, one of the initiatives that was begun under the LIASE grant. The student’s experience at the Sophia Farm Community run by Ben and Konomi was overwhelmingly positive, and she reported back to us with a glowing report of her experiences there, including such adventures as learning how to drive a tractor, make cheese, use a wood stove, and even skin a squirrel. Given the diversity of their agricultural work, their strong ethos of teaching, and the fact that they were able to welcome English speaking students, we felt they would be perfect to partner with as we continue to send students over to Japan for summer farming practica. So, to meet them and introduce them to our corner of the world, we invited them to come visit Bard and see the Hudson Valley. It would only be later that we realized how much the Hudson Valley region was a meaningful place for them and the agricultural philosophies they embrace. Ben and Konomi are biodynamic farmers with an unlikely story. They met in the US while working on a biodynamic farm, fell in love and got married, and eventually landed in Hokkaidô to begin one of Japan’s first biodynamic communities. The first few years were a struggle for them to find land, but now they have grown to an operation of more than 250 acres of mixed forest and meadows for pasture. 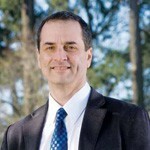 Sophia Farm Community is a 30-40 member C.S.A. vegetable farm with a bakery, ten cows for dairy products, honeybees, sheep, and pigs. Because teaching and growing the next generation of farmers is so important to them, they also offering seasonal workshops on how to make biodynamic preparations, and run a two-year apprenticeship program with job placement. After a long series of email communications before their arrival, we finally got to meet them in person in late January just as the Spring semester was beginning. Their week-long stay was packed with activities both on-campus and off. 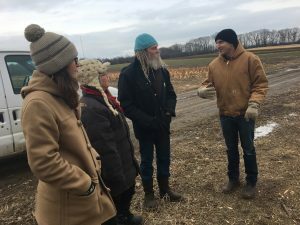 During their stay, they visited numerous farms in the area and had lively conversations with local Hudson Valley farmers at places such as Hearty Roots Community Farm, Gansvoort Sheep Farm, Montgomery Place Orchards, and the biodynamic Hawthorne Valley Farm. It was satisfying to facilitate and bring together like-minded people with common interests and concerns and to watch them discuss their trade, including issues such as soil depletion, bee death, crop rotation, pruning, and invasive species. 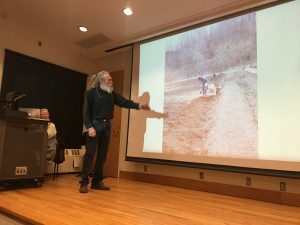 During their stay, they also visited a Japanese language class, met with Bard faculty involved in food and sustainability issues on campus, joined a class on composting, saw the Bard farm and its new shiitake mushroom plot, and gave a public talk on their farm’s history and practices. Throughout the planning for their visit, it became increasingly clear that Ben and Konomi’s interests were particularly well matched with our Hudson Valley area, which has a long history of organic and biodynamic farming. Most prominently perhaps, is Hawthorne Valley Farm, which has been using biodynamic farming methods based on the philosophies of Rudolph Steiner since the farm started in the early 1970s. For Ben and Konomi, the Hudson Valley was a rich place for collaboration with other practitioners involved in organic agriculture. Led by their interests and knowledge of the local biodynamic community, Ben and Konomi also met with others at places such as the Nature Institute, Pfeiffer Center, Triform Camp Community, and Roxbury Farm, at which they shared and strengthened networks of knowledge. Their visit was an opportunity to see the connectedness of our concerns surrounding creating a culture of mindful agriculture and food consumption, and by the end of their visit, we had established a strong commitment to continue a partnership into the future. Given their interests not only in partnering with Bard but in maintaining the connections with other local farming sites, we are hopeful that we can serve as a connecting hub to network with other biodynamic farms in our local area. What began as a small cultural and agricultural exchange has grown into a promising partnership across two ends of the globe and we are excited by the prospect of sending more Bard students to experience their Hokkaidô farm this summer and for years to come.